The Ulster Liberal Association invited Winston Churchill to address a Home Rule rally in Celtic Park Belfast. Throughout his visit to Ulster, Churchill was faced with hostile loyalist crowds. A menacing group of shipwrights threatened to overturn his motorcar in Belfast. 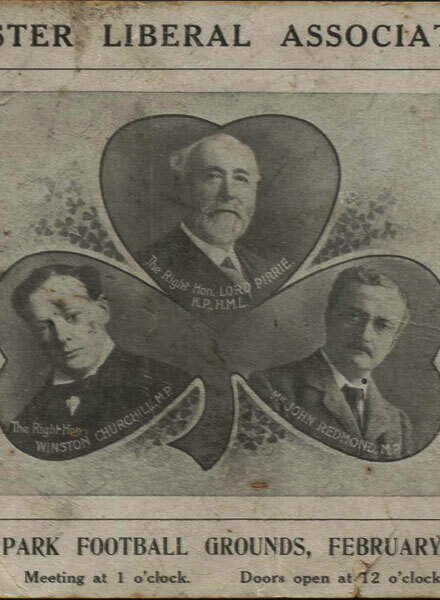 Augustine Birrell, the chief secretary for Ireland, was furious about Churchill’s visit, not least because Irish affairs formed no part of Churchill’s departmental responsibilities. More importantly, Birrell feared Churchill’s visit would prove to be the catalyst for serious rioting in Belfast. 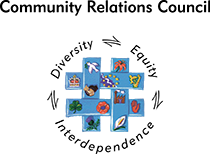 Five infantry battalions, two companies of cavalry and a significant force of police were sent to Belfast to quell any disturbances. 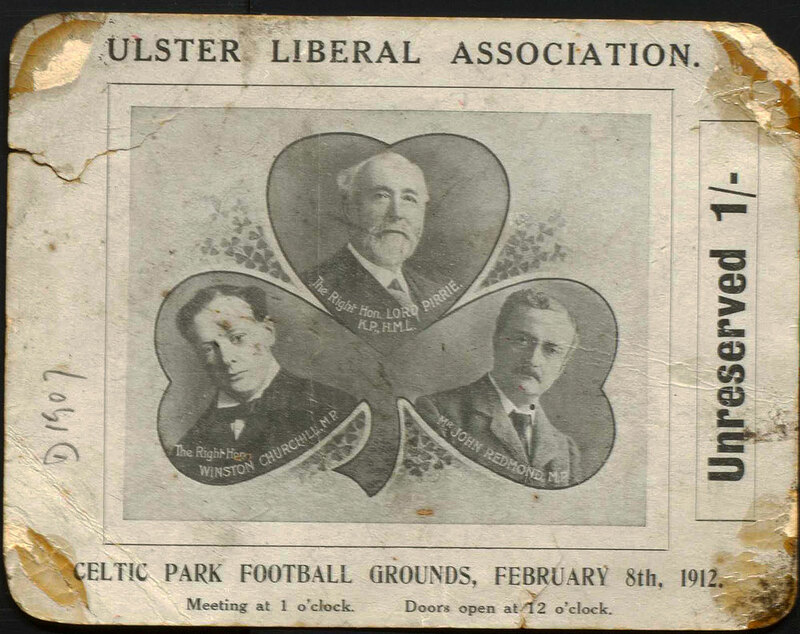 Platform ticket for Ulster Liberal Association meeting at Celtic Park football grounds, Belfast.